Amie, a first grade teacher, met contractor Thomas through mutual friends in 2012, and six years later, Thomas popped the question. Realizing he forgot to make dinner reservations for Amie’s birthday, he improvised—Amie found him on one knee when she came out of the shower, and the rest was history. 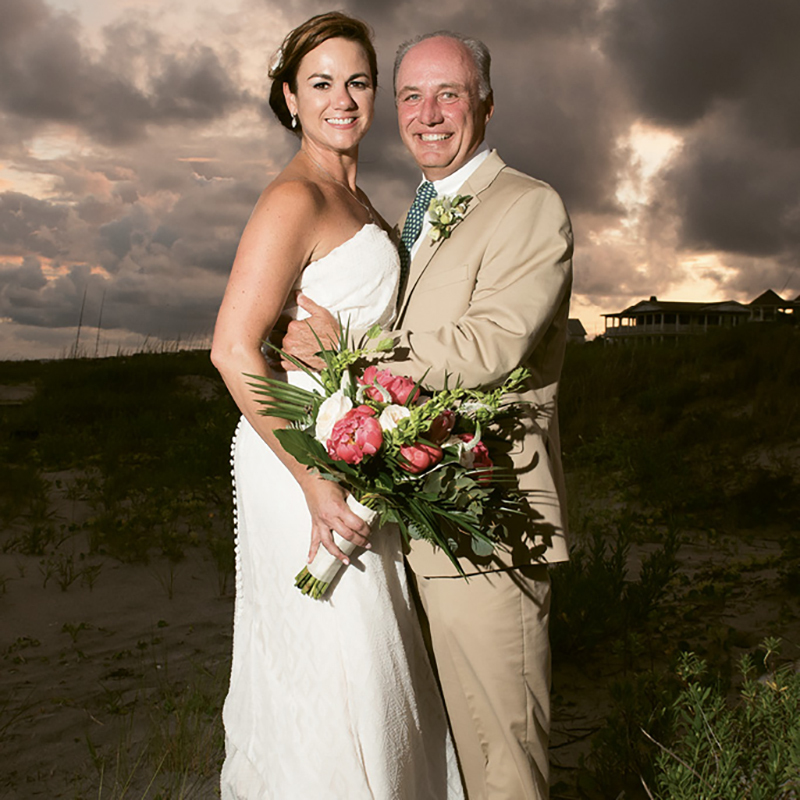 The small ceremony took place on Sullivan’s Island, and the pair celebrated with a reception at The Citadel Beach Club before returning to their downtown home.